is in fine form this season. GRETNA Cricket Club had a good win over Molesworth in the Twenty20 match at Boyer Oval last Thursday night. It was a great match from the start, with many wickets falling and runs flowing. Once Neads was out, the Molesworth wickets fell like ninepins and the side was bowled out for 120 in the 19th over. 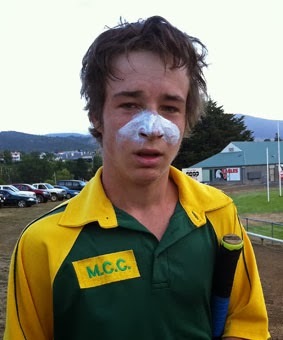 Molesworth looked all the goods until Neads got out and credit goes to the Gretna players for sticking at the game. Captain Matthew Eyles backed up his batting, taking 3-17 as did his brother Joey 3-26 while Peter Jelkic got two and Dylan Pearce one. It was a great evening at Boyer Oval. There was a great crowd in attendance and the kiosk was well run by the Molesworth committee. A top job all round.